Matt and Jeff welcome singer/songwriter Steve Poltz to discuss his new album Noineen Noiny Noin. Steve also plays several songs live during the podcast. 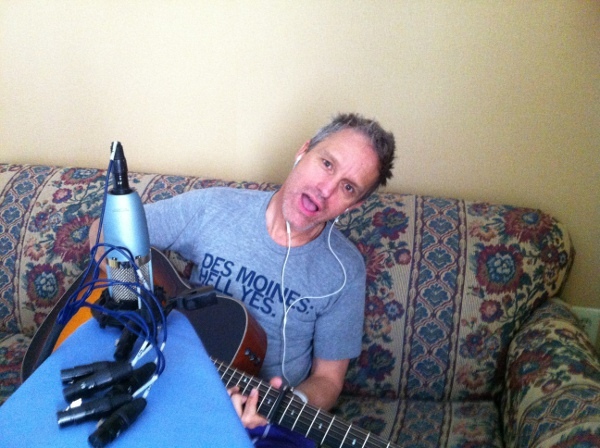 It’s been a year since the initial launch of The Matt ‘N’ Jeff Radio Hour and in that time, we haven’t been incredibly prolific….certainly not in comparison to the always-on songwriting machine that is Steve Poltz, our special guest for today’s podcast. Poltz is preparing to release Noineen Noiny Noin, the thirteenth album in a lengthy career that has seen the veteran road warrior travel to all fifty states and nearly every continent and body of land outside of that. The title of the new album is a reference to Australia, a location which is a particular hot pocket [now we want to have Hot Pockets, dammit!] of Poltz fans. Poltz asked an Australian promoter when he had first come to Oz to play there and the promoter replied, “Oi reckon it was noineen noiny noin.” Just like that, an album title was born. During the course of our discussion with Steve, we spoke about a lot of things, including the awareness of his own mortality and his overall obsession with death, the nuts and bolts of how songwriting works with his ADD personality and how songwriting games help to keep his creative mojo intact. Beyond that, we also spoke about religion [without getting into a virtual fist fight], Johnny Cash and the beauty of tenor guitars and why you should own one. It should also be noted that occasionally there are some words (and even words within songs) that are not safe for the workplace, if you work with people who are really uptight about certain things like the “c” word. Visit Steve Poltz at his official website and buy lots of merchandise. While we’ve got your attention, let us share this video performance of “Trash,” one of the songs from the new album that we discuss with Steve during the podcast. P.S. – How about a little (slightly NSFW) taste of the live performances?